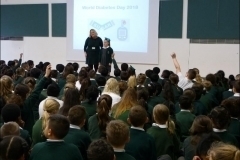 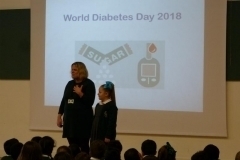 Well done to JoJo who led an assembly this morning with Ms Stodart about World Diabetes Awareness Day, which is today. 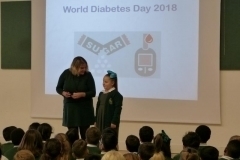 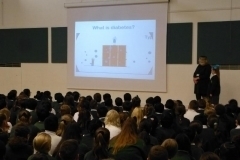 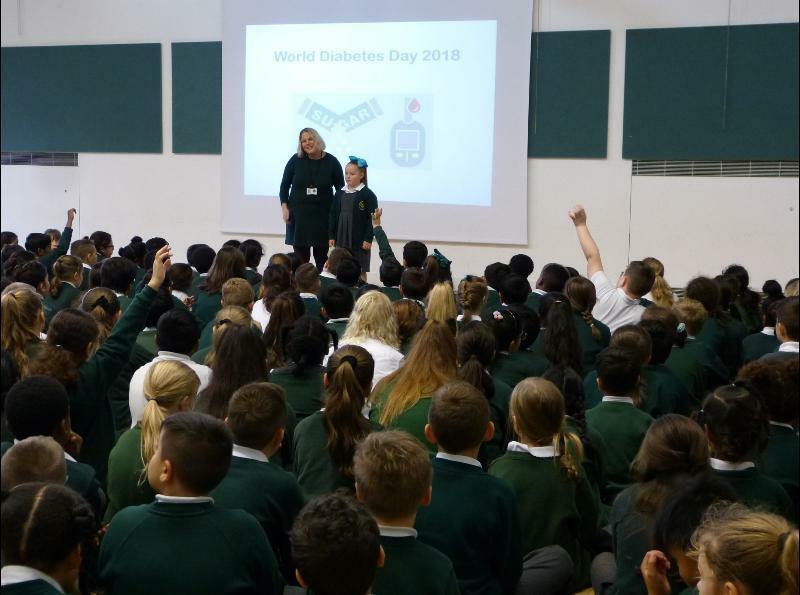 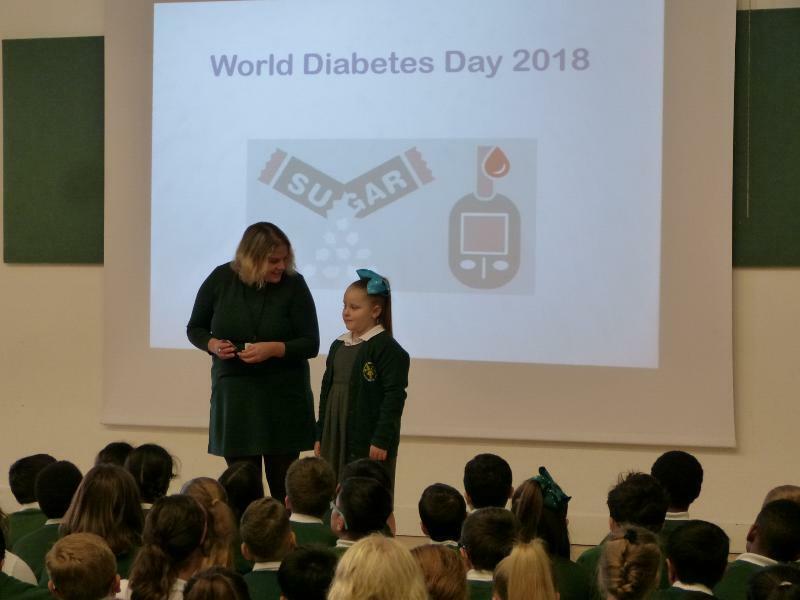 Although it is very scary talking in front of an assembly, JoJo was very brave and demonstrated that diabetes does not stop anyone from doing and achieving whatever they want! 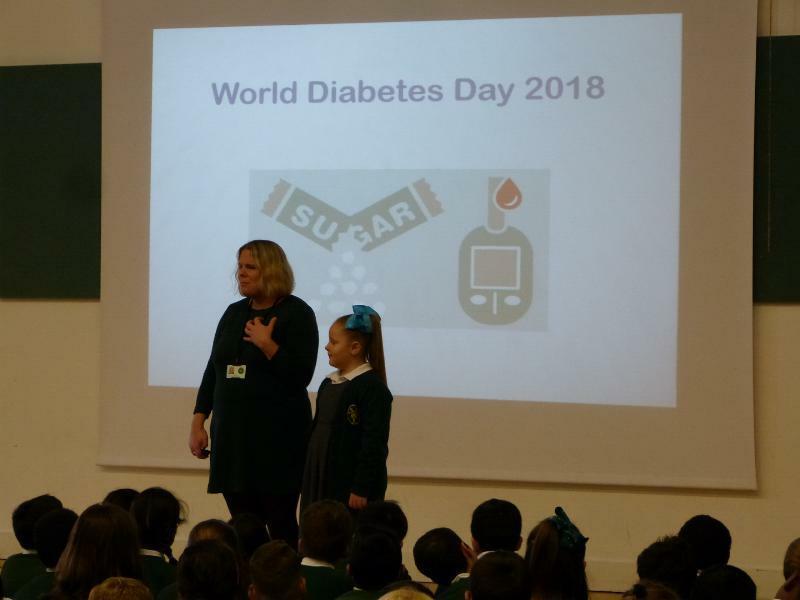 We also learnt about the difference between Type 1 and Type 2 diabetes, had the opportunity to ask questions and discovered that lots of people in our school have a family member who has diabetes. 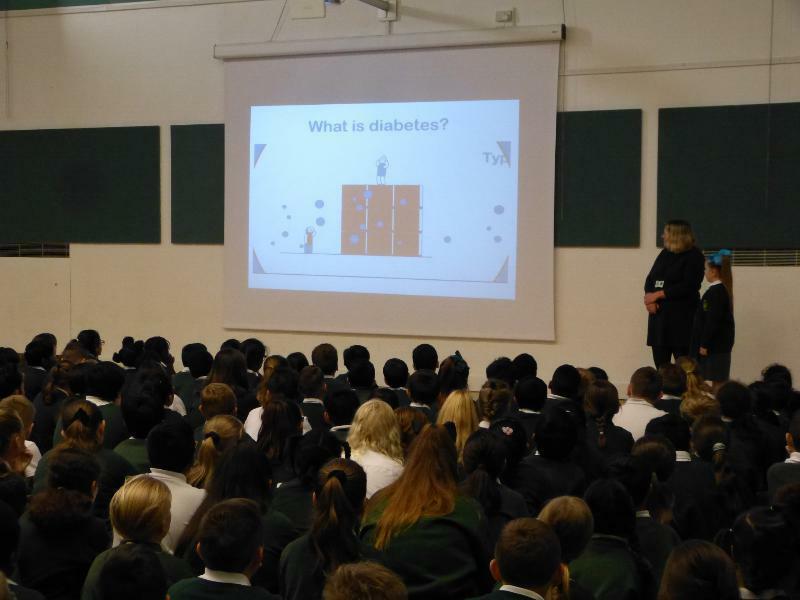 We will be raising money on Friday for a diabetes charity so that more people can benefit from their work.